​Sample Therapy is proud to be one of the leading counseling services of Longmont. Our intimate, locally owned practice offers professional, empathetic care to help our clients achieve their goals. Reach out today for more information on the services and group therapy options available with Sample Therapy Services! Our locally owned practice is comprised of 5 skilled professionals, each with their own set of skills crafted to offer the best care to their clients. Whether it is using creative strategies to motivate others to reach their goals, always looking to develop positive and trusting relationships, or creating comprehensive and holistic supports and services, our therapists will utilize the most effective methods to help you achieve your goals. The thought of planning your whole day around your appointment with your therapist can be a huge deterrent to seeking help. 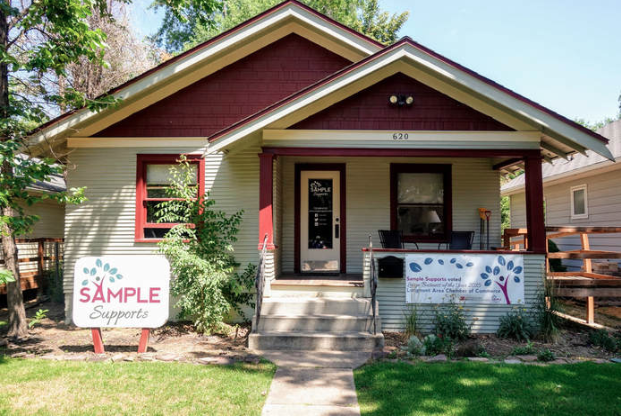 Fortunately for you, Sample Therapy, the leading counseling service of Longmont, is located right downtown less than 2 minutes from the Creative Arts District. Because of our convenient location, our clients can easily integrate therapy sessions into their daily schedules. Our home-like setting with a comfortable waiting room and cozy atmosphere allows you to relax and relish in the positive break you are taking from your daily routine. ​​Reach out today for more information on the services and group therapy options available with Sample Therapy Services!